It look ages, but I think it's worth it. Yellow binding then got stitched to the front, and the whole lot is now in the waiting-for-cooler-weather pile: it *almost* doesn't count as a UFO any longer!!!! 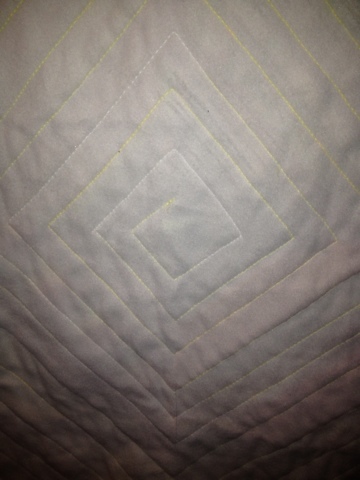 Great quilting Benta you need a new category for this stage UFO I agree! So how big is it and where does it go eventually?? Deffo not a UFO now, I like doing the binding bit. 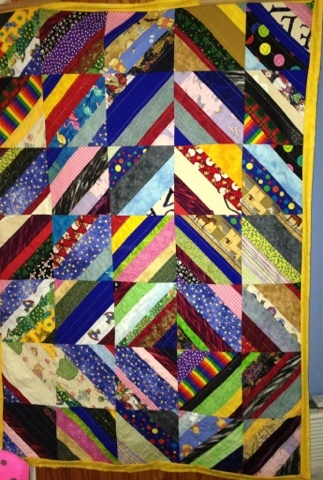 Great quilting Benta. Simple is often best on scrappy and you do it beautfully. Is that glow in the dark quilting thread? Cool effect anyway!